A while back, The Canadian One messaged me on Facebook while he was out and I was home. I wrote back and heard the familiar ‘beep’ of a Facebook message and realized he’d left his laptop on and his Facebook logged in. 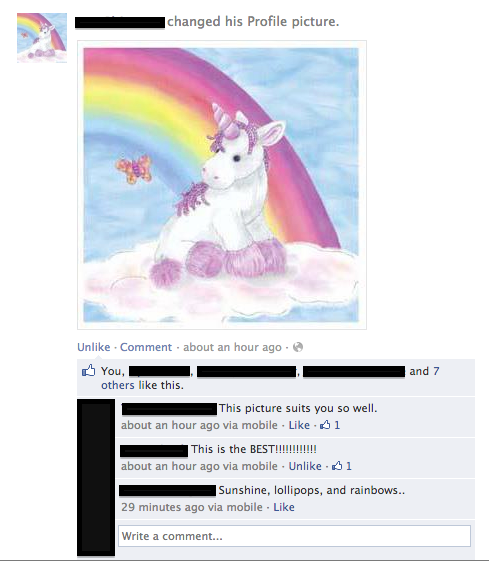 I told him the next time he left his Facebook logged in, I was changing his profile picture to a unicorn. I then told everyone about my plan. I told his friends in Canada. 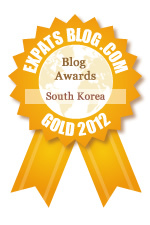 I told my friends in Korea. I told everyone. And he got more and more cautious about his computer. Always logging out. Always taking his phone with him. Previous One Week In September and All The TV Comes BACK! !